The DEMA Show is the diving industry’s largest trade show. The Diving Equipment and Marketing Association (DEMA) held its first trade show in 1977. Today the DEMA Show has grown to host over 600 exhibitors with nearly 10,000 attendees annually. The exhibitors consist of dive equipment manufacturers, travel destinations, apparel wholesalers, dive training agencies, and diving business service providers. Attendees of the DEMA Show are limited to diving industry professionals only, as it is not open to the public or consumers. For some, the annual pilgrimage is obligatory, come hell or high water they are going to the Show. For others, the DEMA Show is looked at as a drain on financial and time resources. But that could not be further from the truth as the opportunities for growth and development in the diving industry multiply when individuals or dive centers invest in the professional development that exists by attending the DEMA Show each year. Get away. No really, get out of your city and go somewhere else. When you escape your city you also escape your routines, your defaults, and your hang-ups. Going to another location allows you to think differently, act differently, and do unique things. This, in turn, opens up your creative pathways of newness and exploration, which allows you to be primed for learning new things and being open to change. Between Orlando and Las Vegas (and now New Orleans is added starting in 2020), these are great get-away destinations just right for large conventions and tourism. Two of the most popular and expertise-intensive areas in diving are photography and technical diving. So the DEMA Show has created areas on the show floor called Resource Centers for both of these areas. The Image Resource Center and the Technical Diving Resource Center are areas where experts of their domains discuss tips and techniques throughout each day of the Show. The Resource Centers are actually located in the midst of several exhibitor booths relating to that specialty area. Every night of the DEMA Show is filled with social events. Many of these events are hosted by the major players in the industry and they are open to everyone. They usually have a cash bar and free hors-d’oeuvres. Here’s a word of advice – get there early if you want food! Some of the best socials are the ones hosted by SSI, PADI, DAN, DeeperBlue, and WetPixel. Industry awards are also a big thing at the Show. These gatherings are more formal, with full dinners as well. Some of the biggest award parties are hosted by Women Divers Hall of Fame, Academy of Underwater Arts and Sciences, and the biggest award party is the DEMA Awards Party. Learning how to succeed in your diving business is a big theme of the DEMA Show. The DEMA Show committee selects professional speakers to provide specific business and career-related presentations to attendees. DEMA Sponsored Seminars are divided into tracks to help you quickly and easily find the sessions that are of interest to you and meet your specific needs. These tracks include Marketing, Operations, and Sales. Some of the 600 exhibitors can share more about themselves in one-hour seminars than they can in their booths. So, they put on educational presentations at different points throughout the DEMA Show. These presentations are informative and interactive. Some exhibitors like PADI, NAUI, SSI, and DAN have rented their own rooms in the convention center to offer back-to-back seminars all day, every day of the DEMA Show. Oh, and did you know you can walk away with professional certifications as well? Many companies offer training courses before, during and after the DEMA Show. These include PSI/PCI, DAN, NAUI and a host of equipment manufacturers offer repair technician courses. 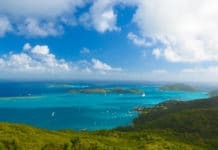 Traveling to the best diving destinations in the world is the heart and soul of what we do as dive pros. Since so many dive centers and independent instructors offer dive travel to their customers, there is no better time and place to gather as much info on diving destinations as at the DEMA Show. From diving liveaboard yachts to land-based dive centers, dive travel is represented well at the DEMA Show. Let’s say you want to go to the Florida Keys, you will find dive operators of that region often near each other on the Show floor to make it easy to talk with and compare operators. Then there are huge Travel Pavilions which are entire isles dedicated to a region. The Bahamas Travel Pavilion, for example, has dozens of dive operators ready to give you info on their diving, hotel, and transportation packages – and near the end of the day, you may be serenaded by steel drums and some Bahamas Rum Punch. Our industry is always changing and the DEMA Show is the place to showcase what is new and what is coming. In fact, on the Show floor, there is the New Products Showcase. Instead of going booth to booth inquiring about what is new, you can conveniently look in display cases to see all the new products and where they are located on the Show floor. For example, last year I got to touch, demo, and drool over the Garmin Descent MK1 dive computer months before it was available to consumers. I got way more information from the exhibiting Garmin expert than I did online. 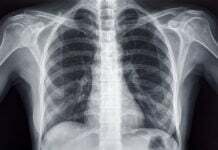 We all know to be a diver one needs to be certified and there are several dive training agencies in the industry for this. Almost all dive training agencies exhibit at the DEMA Show. You can learn directly from them about standards changes, new products, risk management, and new initiatives. Many of them also offer educational seminars (see #6) to go in-depth into these areas. By spending time in the booths with the dive training agencies’ executives, you get a really good sense of the mission and soul of each training agency. Let’s face it, we love the gear! Diving is an equipment-intensive sport so the sales and distribution of diving gear to divers is one of the biggest components of any diving business. 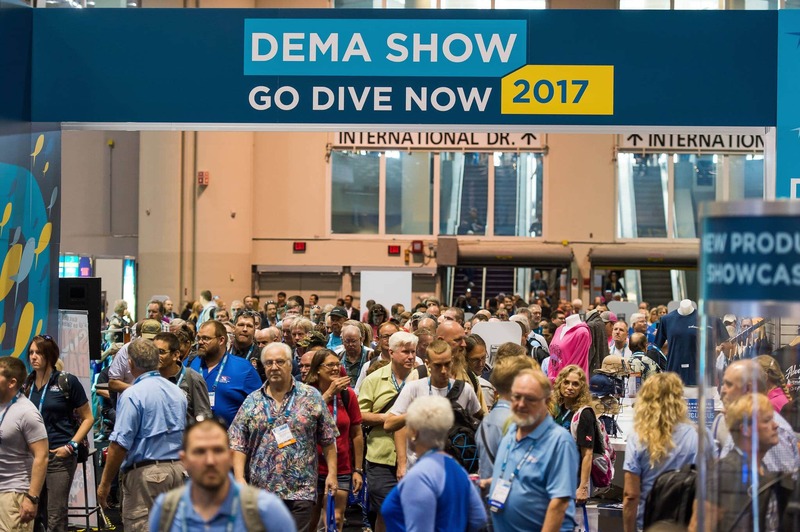 The DEMA Show hosts a variety of equipment manufacturers ready to show their gear, talk features, and take orders for dive centers. You get to compare brands and models by walking from one booth to another. It’s also a great opportunity to learn about equipment, their features, and even sales strategies of particular lines. Whether it is on the DEMA Show floor, in seminars, or at social events you will be networking with the who’s who in the diving industry. From executives of the largest players in the industry down to a divemaster on a dive boat; from diving instructors in your state to halfway around the world from you, you will rub elbows with tons of dive industry professionals just like you. They face the same challenges, threats, and opportunities as you do. They share what is working and not working in their areas. This ability to connect with other dive pro’s gives you an advantage to return home with new strategies you can implement in your diving profession. DEMA Show App – DEMA has created an app to help you enjoy the DEMA Show – and it rocks! You can read about and pick seminars to attend that immediately go to your daily schedule. And you will be reminded where you need to go next along with a map of how to get there in the Convention Center. Check out my tutorial on how to use the DEMA Show App below. Demonstration Pool – Wanna hop in the water and try a snorkel mask? Or how about a dive propulsion vehicle? Or how about learning some breath-holding tips from a freediving champion? You can do all of that in the DEMA Demonstration Pool. As you can see, the DEMA Show is an amazing trade show for our diving industry. And with all these tremendous opportunities to learn and grow in a four-day event, you will be making a wise investment in your professional development.